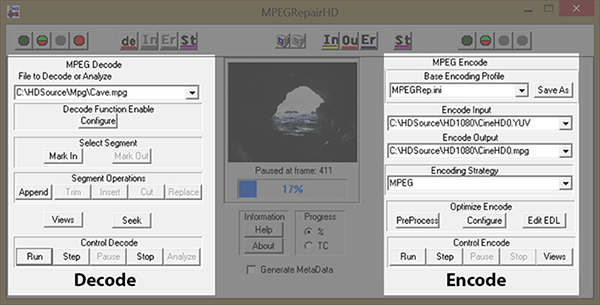 MPEGRepairHD® is a comprehensive software encoding tool that creates studio quality transport and program streams in real-time from huge theater/full dome sized images through tiny thumbnail content. 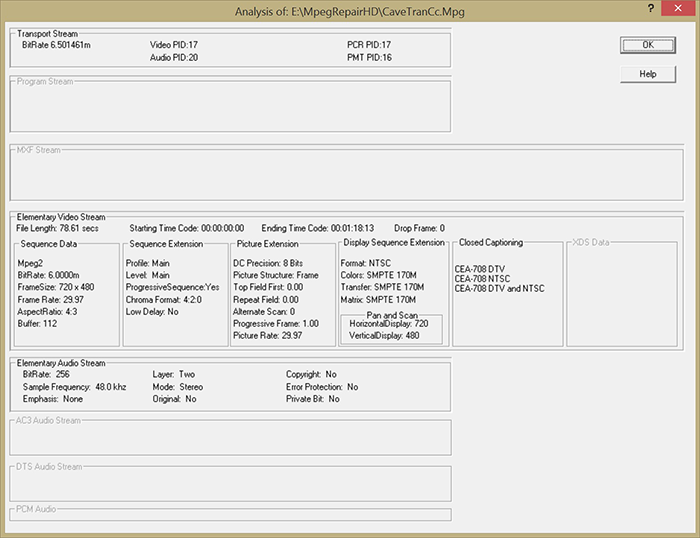 MPEGRepairHD now includes Nielsen Commercial Watermarking and Analysis. 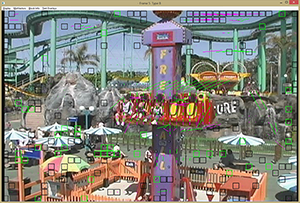 The product is enhanced with a large variety of complementary transcoding, decoding and analyzing capabilities making MPEGRepairHD an essential tool for all involved in MPEG/AVC/HEVC broadcast systems. Stream extracting, closed captioning extracting, frame extracting. MXF to MPEG conversion with closed captions. MPEGRepairHD includes a high quality video encoder that is controlled on the right hand side of the interface and a decoder/analyzer/splitter/stream updater that is controlled on the left hand side of the interface. 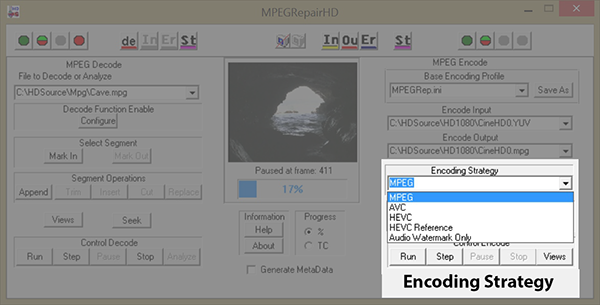 MPEGRepairHD encoding strategy defaults to MPEG encoding. The Encoding Strategy can be set to AVC encoding, HEVC encoding or Nielsen Audio Watermarking in this drop down box. 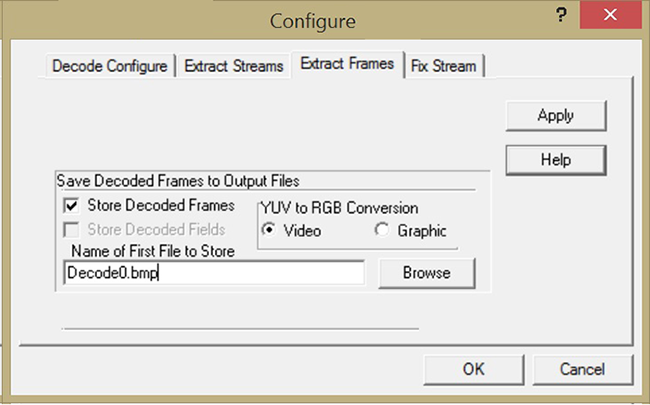 Select the closest Base Encoding Profile to the frame size of your source frame size from the drop down box. The appropriate bit-rate and rate control strategy are automatically set. Once you have set your initial Encoding Profile, you can then tweak your desired parameters (such as bit-rate and encode buffer size) to precisely meet your encoding specifications. You can save your final resultant parameters by depressing the Base Encoding Profile | Save As button and entering the name of the file to contain the parameters. You can cause subsequent launches of MPEGRepairHD to use your desired parameters by saving the parameters in the MpegRep.ini file in the same folder where MpegRep.exe is launched. 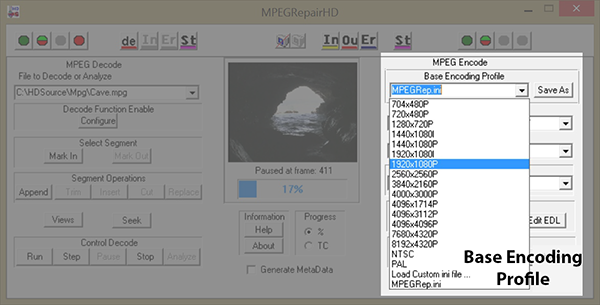 MPEGRepairHD includes extensive capability for stream update, extraction, analysis, and repair. 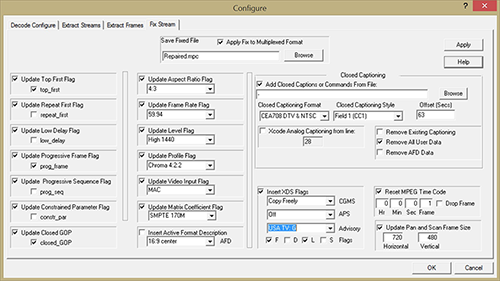 The tool can insert meta data such as Closed Captioning and update steam headers such as system time and frame flags without transcoding. 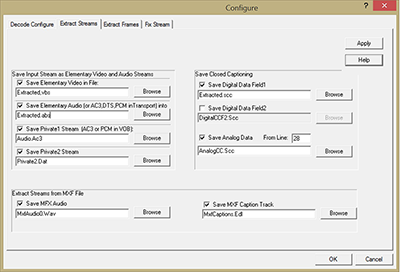 The tool can split your multiplexed bit-stream into its elementary video and audio components. 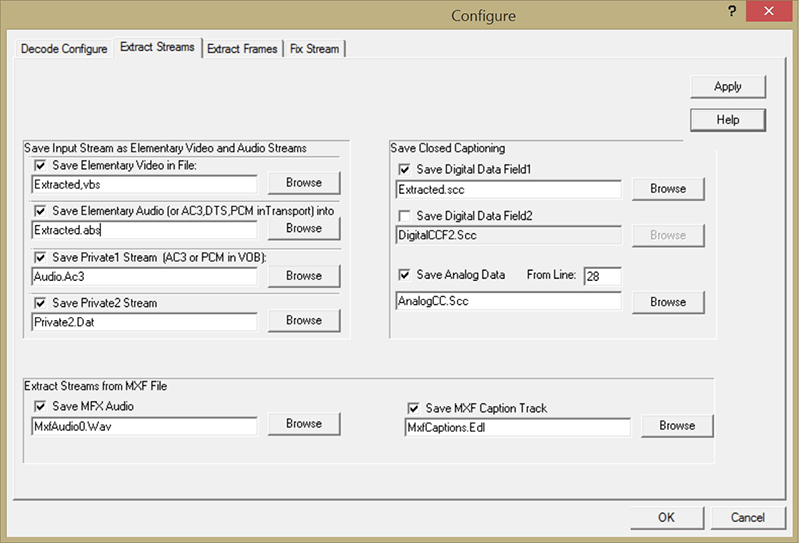 It also can save the digital or analog closed captioning embedded in the stream as a .scc file. All user data can be saved as a .edl file. 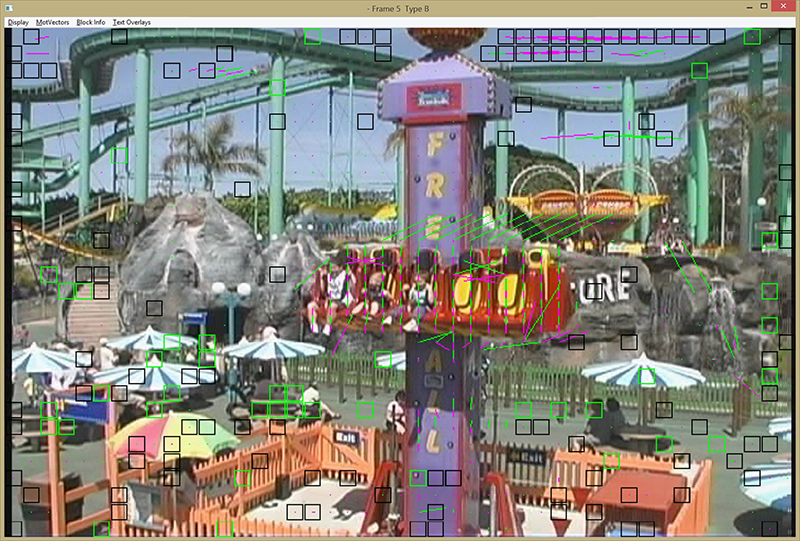 MPEGRepairHD can decode all or part of your video into discreet BMP or YUV frames. 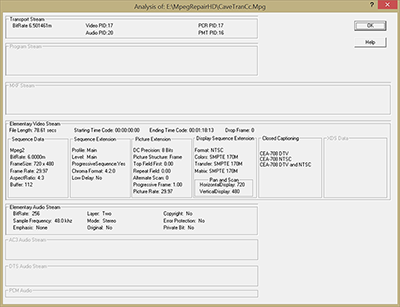 MPEGRepairHD can perform an overall stream analysis. The tool provides insight into the encoding decisions and stream performance. 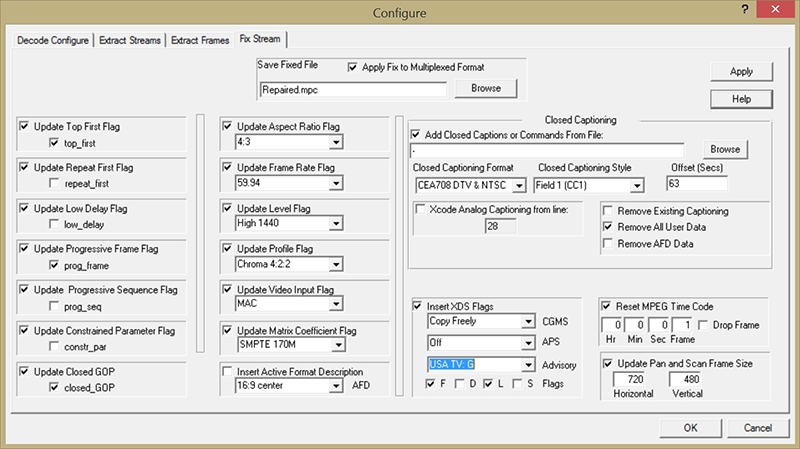 The tool can extract, trim, insert, replace and append MPEG GOP segments. MPEGRepairHD (and all of our MS Windows tools) can be run in the batch mode. 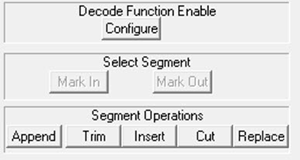 The configuration for the run is taken from the default ini file. MPEGRepairHD (and all of our MS Windows tools) generates a log file that details the parameters utilized for each run and records any errors or warning encountered. This is essential for workflow reliability and system traceability. Contact us for a demo of MPEGRepairHD. View our products features at a glance.